Offering you a complete choice of products which include honeycomb conveyor belts. 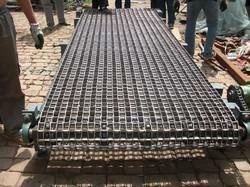 We are offering a wide range of Honeycomb Conveyor Belt for food Industries. This intelligent part conveyor integrated with other ancillary equipment can greatly increase quality and efficiency of the processing unit. Looking for Honeycomb Conveyor Belt for Food Industries ?